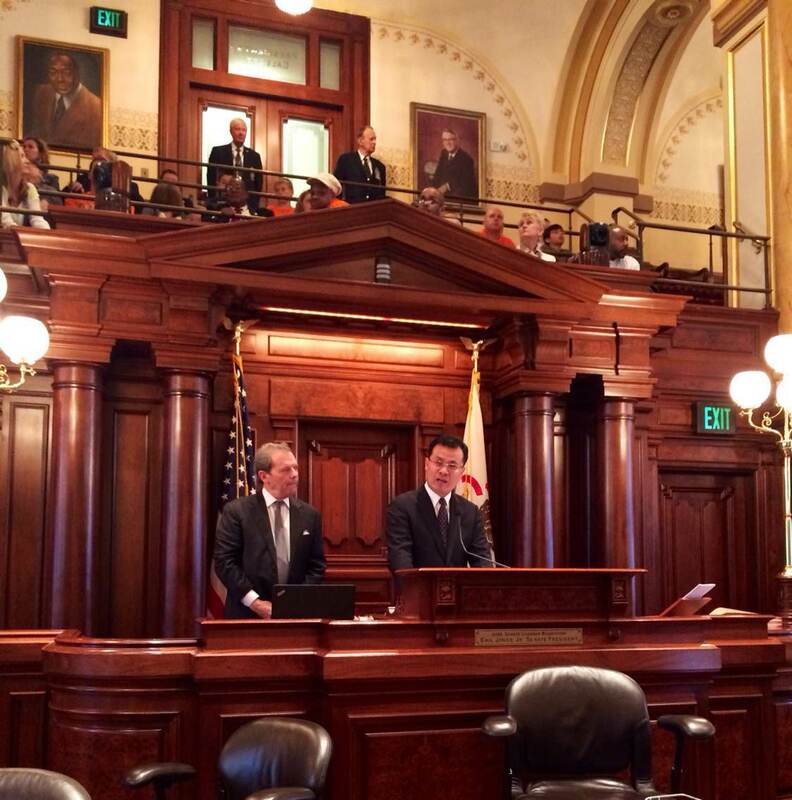 On May 13, Chinese Consul General to Chicago Zhao Weiping delivered remarks respectively at the sessions of the Senate and the House of Representatives of the State of <?xml:namespace prefix = "st1" ns = "urn:schemas-microsoft-com:office:smarttags" />Illinois at the invitation of Senate President John J. Cullerton and House Speaker Michael J. Madigan. Consul General Zhao extended warm greetings and best wishes to the Representatives and the Senators on behalf of the Chinese Consulate General in Chicago. He spoke positively of the development of the friendly relationship and cooperation between China and Illinois. He also stressed that China has always attached great importance to deepening exchanges and cooperation with Illinois, and that the bilateral ties in areas of trade and economic cooperation, education and culture have grown ever closer, which has benefited people of both sides deeply. Consul General Zhao pointed out that China's economy will continue to enjoy a medium-to-high growth for a very long time as China is deepening reforms in a comprehensive way, which will bring about more opportunities for economic cooperation between China and Illinois. China and the US are working together to build the new type of major country relationship featuring "no conflict, no confrontation", "mutual respect" and "win-win cooperation", which will ensure a favorable political atmosphere for the development of relations between China and various US states. The state visit to the US by Chinese President Xi Jinping this September will for sure give great new impetus to the mutually beneficial cooperation between China and the US and open a new chapter for the development of China-US relations. Against this background, China-Illinois relationship will certainly enjoy even greater development. 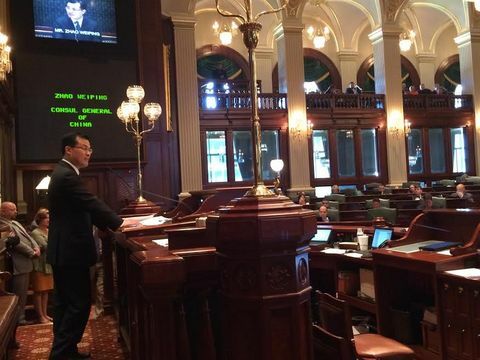 Consul General Zhao expressed hope that the General Assembly of the Stat of Illinois will continue to play an active role in promoting the friendly exchanges and mutually beneficial cooperation between China and Illinois to embrace new developments of the relations between the two sides.